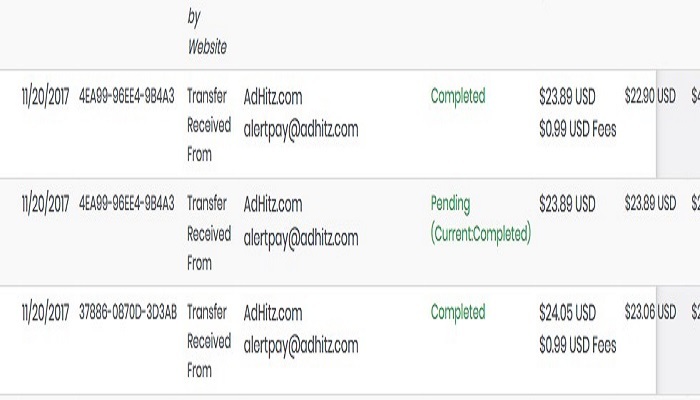 Adhitz Review: If you are looking for a cheap but effective advertisement solution, this should be your go-to place. It would be a good Adsense alternative for you if your blog or website have been rejected or disapprove by Google Adsense. Adhitz is a Pay per click (CPC) based advertising ad network that serves advertisement through publisher site with the network. AdHitz makes it very easy to buy and sell advertising online, giving advertisers and publisher more transparency and control. With banner and text ads, AdHitz has created a simple and more effective advertising place for both advertisers and publishers of all sizes. In this post Adhitz review to explain how this ad network can benefit your internet business especially if you just got started with making money online and you don’t have a big budget for a paid advertisement. Adhitz accepts all type website excluding adult website. No minimum traffic required for signup. 1. Text ads – These are displayed on publisher sites as text on blocks. 2. Banner ads – These are typical image ads we are used to seeing around on websites. They offer 5 dimensions (468×60, 728×90, 125×125, 120×600 and 300×250). You can choose one that suites your needs. Adhitz working as propeller ads based on NET 15 and minimum payout is 5$. payment transfer via PayPal, wire, and cheque. Adhitz Cost Per Pay (CPC) depends on your traffic source only, here in AdHitz Publishers CPC Rates section you can find all the details about current Adhitz CPC rates for country wise traffic or for rest of world traffic. They only count real click, not bots generated fake clicks, if anyone tries to fake traffics and other methods for traffic & clicks, they can ban your profile permanently. United States: 0.20$ per click. Canada & United Kingdom: 0.16$ per click. Australia, Austria, Denmark, Finland, France, Germany, Luxembourg, Netherlands, Norway, Sweden, Switzerland: 0.13$ per click. Belgium, Cyprus, Greece, Iceland, Ireland, Israel, Italy, Japan, Malta, New Zealand, Portugal, Spain: 0.11$ per click. Worldwide Traffic: 0.06$ per click. Adhitz is a good ad network for both advertisers and publishers.